The National Conference to review the work done after 10 years of implementing the “Tam Nong” movement; Hurricane No. 9 causes great losses in Southern Central part and Southern part of the country; the 1st Global Young Vietnamese Intellectuals Forum organized are among the most prominent information in the week. The national on-line conference to review the work done after 10 years of implementing the Resolution of the 7th Party Central Committee Plenum, 10th Tenure, on agriculture, peasants and rural areas, was organized on November 27, 2018. The “Tam Nong” movement was launched ten years ago with the aim of boosting the national industrialization and modernization of agriculture and the countryside and improving the peasants’ life, thus making an important contribution to accelerating the social and economic development nationwide. However, there are still a lot of weaknesses and shortcomings in the movement with the uneven rural economic development and poor infrastructure. 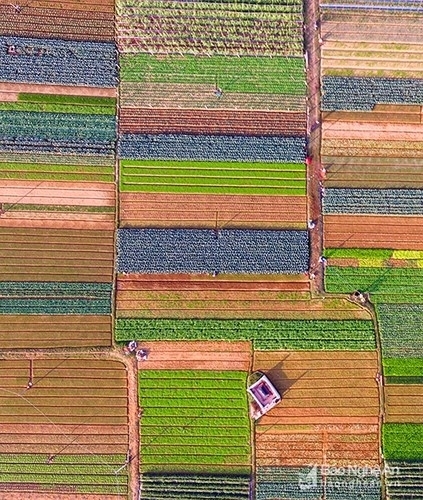 Concluding the conference, Prime Minister Nguyen Xuan Phuc said that investment in agricultural production is still rather low, whereas the scientific and technological advances are yet to be fully applied in agricultural production and farming work is still carried out in a small and fragmented scale. So this is the task of the entire political system and the whole society to resolve the agricultural, peasant and rural problems./. Heavy rains after Hurricane 9 killed one person and caused great losses in property and destroyed a lot of works and communication roads in the southern Central and Southern province of Vietnam. One person was killed (fallen tree was the culprit) and 17 other big trees were uprooted in Ho Chi8 Minh City, whereas in Khanh Hoa, Ninh Thuan, Binh Thuan, Binh Dinh and Ba Ria-Vung Tau provinces, 45 vessels were capsized and 99 aquaculture cages were destroyed; 718 hectares of rice and 380 hectares of other crops were submerged under water. 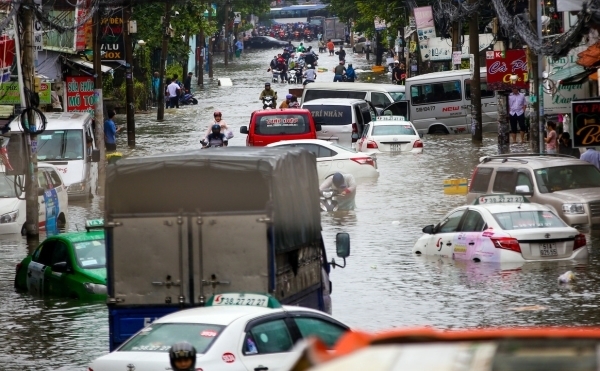 The rainfall on November 25, 2018 in Ho Chi Minh City was 150 mm, causing serious flood in many parts in the City./. 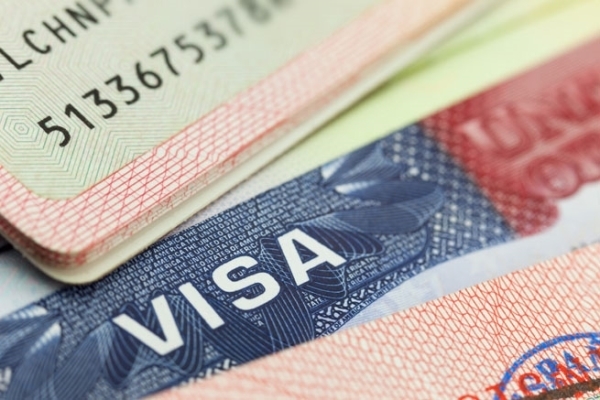 Vietnamese citizens having household registration in Hanoi, Ho Chi Minh City and Da Nang may be supplied with 5-year visa in the Republic of Vietnam and there is no limit to the entry times. The Ministry of Justice of the Republic of Korea on November 23, 2018 anno8ned that Vietnamese citizens having household registration in Hanoi, Ho Chi Minh City and Da Nang will be supplied with 5-year visa for the reason that these cities have high income. On the other hand, the Republic of Korea also supplies multi-time entry visa within the period of 10 years or in other words, there is no limit to the times of entry visa for citizens of 11 Asian countries, including Vietnam. These people have to be lawyers, doctors or university professors without committing any crimes or illegal immigration in South Korea./. On November 28, 2018, the 1st Global Young Vietnamese Intellectuals Forum was officially opened in Da Nang City. The Forum brought together about 200 young intellectuals living and working in 21 countries in the world. These young intellectuals have worked in 52 disciplinaries, 27% of whom are doctor degree holders and assistant professors. 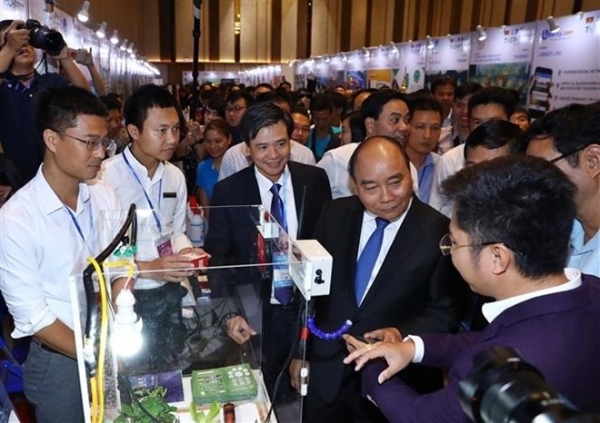 Speaking at the event, Deputy Prime Minister Truong Hoa Binh said that young intellectuals should share experience and successes and even failures in different countries, so as to propose opinions and solutions so that the Government could implement successfully the 4.0 industrial revolution. This Network is hoped to become a consultant channels for the Party, State and Government concerning the issues necessary for the national development. It will connect and share knowledge and experience under the sponsorship and support of the Central Committee of the Ho Chi Minh Youth Union and the Vietnam Youth Union and the majority of young people of Vietnam./. The Young Entrepreneurs Forum 2018 kicked off in Da Nang City on November 29, 2018. 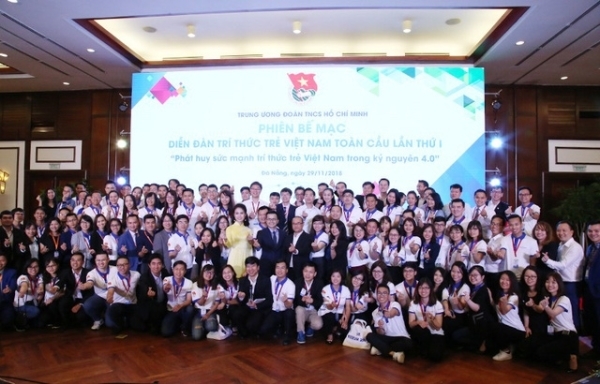 Prime Minister Nguyen Xuan Phuc chaired the direct dialogue with young people, students and investors. This event is held by the Central Committee of the Ho Chi Minh Youth Union in coordination with the Central Committee of the Vietnam Youth Union. This is an opportunity for young people and young entrepreneurs of Vietnam to make proposals, initiatives and solutions to make a contribution to the national development of the start-up bio system. Prime Minister during the dialogue affirmed that start-up and innovation have played an important role in the national development. All the delegates have contributed theier opinion and experience to help the country advance forward. They also expressed their aspirations for success. “Here the Government undertakes to create every possible condition for the growth of the Vietnam start-up bio system and further perfection in the years to come” – The Prime Minister stressed. The event was organized within the framework of the National Innovation Fest 2018 (Techfest 2018)./. In 2018, after the little donor Hai An donated cornea, the number of people registering to donate organs in Vietnam has increased sharply, occupying 1/3 of the total of donors in the past 5 years. Up to now, the total number of donors of organs after death has risen to 19,300. The National Center of Coordination of Organ Transplanting was put into operation in 2013 and in 2017, it mobilized more donors of organs and the number rose to 12,000. After the little girl Hai An donated her cornea in 2018, over 7,300 people volunteers have donated their organs after death. As of August 31, 2018, there were 3,378 cases of organ transplantation nationwide./. 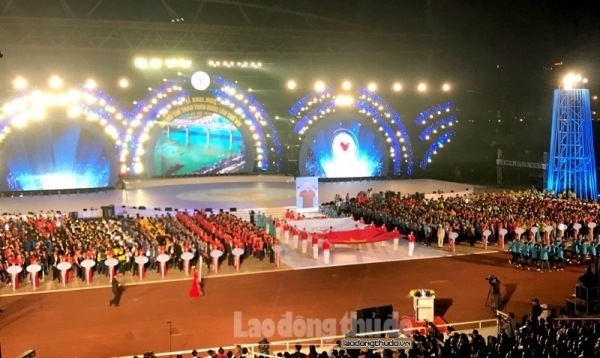 The 8th National Sports Festival was launched at My Dinh National Stadium, Hanoi, on November 25, 2018. Deputy Prime Minister Vu Duc Dam attended the event. Speaking at Festival, he laid stress on the importance of the sports and physical exercises activities for the national construction and defense as taught by President Ho Chi Minh. 3,000 sportsmen joined the parade. After that, shooter Hoang Xuan Vinh, track and field athlete Bui Thi Thu Thao and rower Pham Thi Thao joined the torch parade. The 8th National Sports Festival has been organized on November 15 to December 10, 2018 in Hanoi, Hoa Binh Province and Khanh Hoa Province. This is the biggest ever sports event in the country, bringing together the best athletes nationwide to the event. The Festival is organized every four years./.